First and foremost, I am standing here on behalf of the Deputy Governor, Supervision, Dr. Grant Kapango, who would have loved to be here with us, had it not been for other pressing Bank business. He sends his best wishes for the meeting. Having said that, it is an honour and it gives me great pleasure this morning, to be with you at this Annual General Meeting.This meeting is important in several aspects. First, it accords an opportunity to take stock of what the network and the microfinance industry has done and achieved in the past year. In this respect, the meeting will receive management and financial reports for the past financial year. Not only that, the industry has been experiencing several innovations as well as legal and regulatory developments. This meeting therefore gives us an opportunity to reflect on how the industry is taking advantage of such innovations and how it is meeting the challenges that come with change. Secondly, the meeting will plan for activities to be done in the coming year. In this regard, it is pleasing to note the level and scope of representation at this meeting. 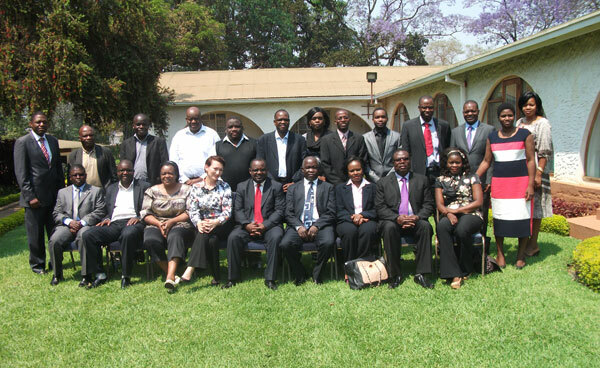 I can see participants from the industry, government institutions and other key stakeholders. This shows serious commitment on the part of members to the network. Ladies and gentlemen, the importance of the microfinance industry to the economic development of the country cannot be over emphasized. Microfinance service providers are playing a vital role in the government’s drive to extend financial services to previously underserved populations. Nevertheless, Ladies and Gentlemen, for your efforts to have an impact on the rural masses and the country’s economy there is a need for collective collaborations amongst all the players - that is where the network comes in. That is why the Reserve Bank is making an effort to encourage all microfinance institutions to join the network. A strong microfinance network will give voice to the microfinance industry and would ensure that the industry has an influence over policy developments. Ladies and Gentlemen, in addition to your coordinated efforts there is a need for microfinance institutions to embrace innovations. Recent examples in the industry include mobile money, micro-insurance and agent banking. In addition, in the near future deposit taking microfinance institutions will be introduced. It is high time that we, as an industry, incorporated such innovations in our businesses. These innovations will not only help minimize operational costs but also increase our outreach. Ladies and Gentlemen, this expansion must be done while paying attention to the users of financial services. Adequate financial literacy should be infused to both businesses and households through development of financial skills and establishment of frameworks for consumer protection. I would like to take this opportunity to introduce the Consumer Protection and Financial Literacy unit within the Reserve Bank to those who may not be aware of its existence. The unit is taking the lead in developing the National Financial Literacy Strategy and financial literacy initiatives. One such initiative is the financial literacy week which is scheduled to take place in November 2013. You will all be invited to take part. Ladies and Gentlemen, let me update you on the progress that has been made on the Regulatory front. To date 8 microfinance institutions have been licensed as Non-Deposit Taking MFIs while 7 have been registered as Micro-Credit Agencies. Microcredit agencies are small, credit-only microfinance services providers. We anticipate that we will be registering more than 20 microcredit agencies. 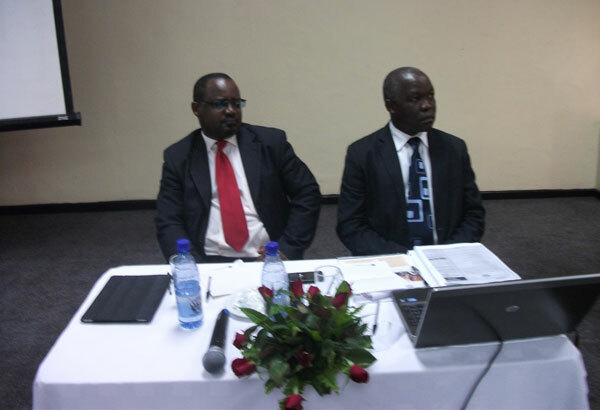 As you may be aware a Memorandum of Understanding (MOU) was signed between the Reserve Bank and MAMN on 4th May 2013 in which supervision of microcredit agencies was delegated to MAMN. The network has recruited personnel in the inspection unit and the Reserve Bank will assist with training of the inspection staff. In addition, the Reserve Bank engaged a consultant who made an assessment of the Networks capacity needs. We are currently waiting for his report. The delegated responsibility means that MAMN will be responsible for developing industry Codes of Conduct; collecting information as well as conducting on-site and off-site supervision of microcredit agencies. I therefore call upon all respective institutions to cooperate with the Network in their capacity as a self-regulatory organization. On the part of the Reserve Bank, we shall continue directly supervising licensed deposit taking and non-deposit taking MFIs as well as assisting MAMN with enforcement actions against microcredit agencies. Let me conclude my remarks, Ladies and Gentlemen, by calling upon all of you to come up with strategies which can be used to incorporate recent innovations in your operations for the betterment of your clients and the nation at large. My remarks would be incomplete if I do not express gratitude to the heads of all the microfinance institutions gathered here. I know the importance of the work you all do. Your presence here reflects the commitment you have to the Network. With these few remarks, I declare the meeting officially open. I thank you for your attention.